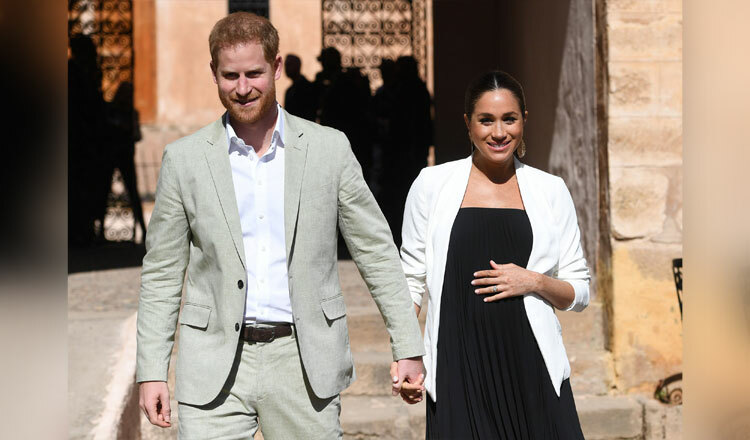 Home - Royal but regular: Will Harry and Meghan seek ‘normality’ for their baby? Prince Harry is all too familiar with the attention that comes with being a British royal. In the last two years, Prince Harry has spoken openly of his mental anguish at the loss of his mother when he was just 12 and how in the years that followed he struggled with his royal status. Princess Diana had been keen that her two sons should be brought up away from the stuffy confines of royal palaces and their traditions. She took them on trips to the cinema, to McDonald’s, and to a theme park. “Thank goodness I’m not completely cut off from reality. I am determined to have a relatively normal life, and if I am lucky enough to have children, they can have one too,” said Prince Harry. But how realistic is Prince Harry’s wish? Polls suggest he is one of the most popular British royals, vying with the 92-year-old queen and his elder brother William for top spot, and his marriage to a glamorous Hollywood actress has only increased the media and public fascination. Ms Meghan, whose rift with members of her own family has provided great fodder for tabloids, giving her a clear insight into the baggage that being a royal brings, has not made any public statement about the possible upbringing for the baby. But, speeches made by Prince Harry since the pregnancy was announced have hinted how they do not want their child not be valued on their royal background. As well as his own upbringing, the couple can look to the experiences of other royals. Prince William has fiercely sought to defend the privacy of his children, George, Charlotte and Louis and so far the media have generally abided by requests to leave them alone. Royal author Jobson said whatever Prince Harry and Ms Meghan’s aims, it will be almost impossible for their child to completely escape his or her background.